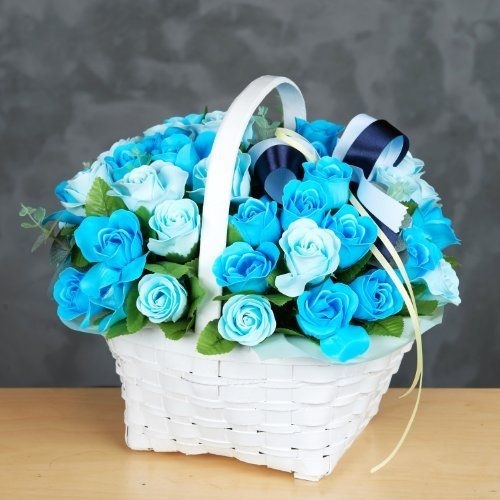 A large Turquoise Blue Rose Basket arrangement including ribbons and 50 Turquoise roses and foliage. Our florist will expertly arrange this floral item to a high standard using Blue Turquoise Roses into floral foam for freshness. We will also use foliage into the floral foam and attach it into the basket, creating a stunning gift that this suitable for all different occasions.